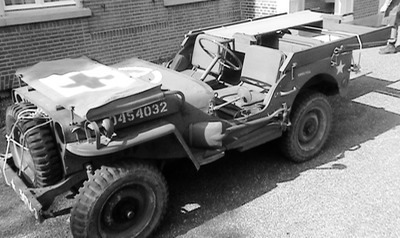 Picking a theme for the commemoration of the Holland jump, and having read the booklet about the 505th Regimental surgeon Daniel McIlvoy, We noticed that the 82nd Airborne Division used a specific ambulance jeep design. 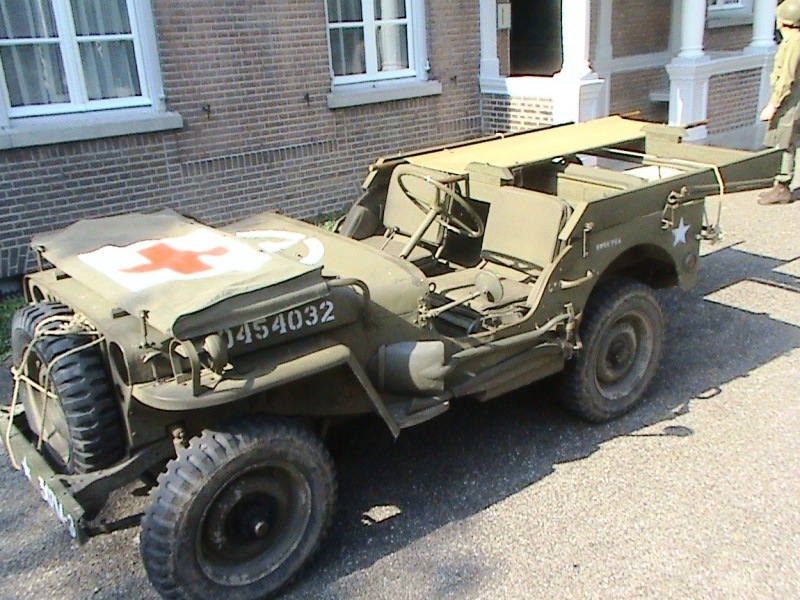 A 82nd medic jeep would be a great idea! Getting some lumber and checking with the contemporary photographs we build ourselves a nice ambulance jeep. The design is very basic and needs no adjustment to the jeep it self. The wooden frame can be taken apart for storage, or, to fit in a glider. This frame is placed on the back of the jeep and can hold two litters. There were no specific Red Cross markings painted on the jeep. 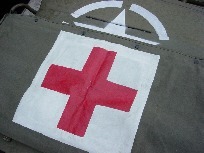 There was, however, a large Red Cross painted on the windshield cover and a pole with a small Red Cross flag was attached to the front. (About the flag being regulation we found out later, so we did the re-enactment without a flag.) 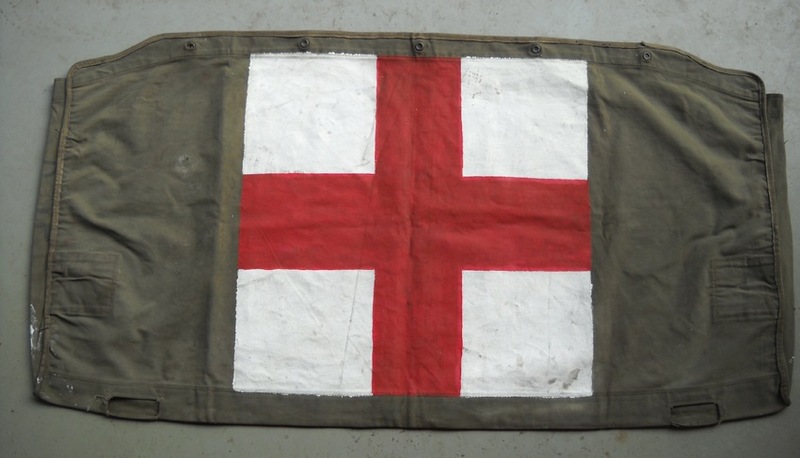 The painted cover and flag could be used with any jeep, so any jeep available could be modified without any effort or tools in the field. Finally a photo of an original painted windshield cover.